What Is the Hispanic Scholarship Fund? For many students, applying to college is not simply about grades, transcripts, recommendations and extracurricular activities. Some American students have the question of whether or not they will be able to attend their dream school due to finances. College is an expensive undertaking and very often the cost can be prohibitive for many students. Fortunately, there is federal student aid available for students who have demonstrated financial need. FAFSA is the Free Application for Federal Student Aid and is the first step for students who are planning to ask for government assistance in their quest to pay college tuition. FAFSA should be the very first thing that high school seniors, undergraduate and graduate students research when they begin to think about paying for their education. It is a comprehensive and simple application that can have tremendous financial benefits. Students who are interested in FAFSA Applications and beginning to take the FAFSA application steps that result in a grant of federal funding must first visit the FAFSA website. The FAFSA website will prompt you to create a login, whether you are a student or a parent, and then will allow you to access the FAFSA application which is free to fill out and quite a simple process. The FAFSA application first must determine if you are eligible to receive FAFSA funding. 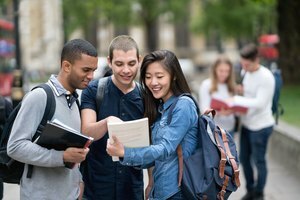 To be eligible for Federal Student Aid you must be able to prove that you are an American citizen or an eligible non-citizen of the United States. This restricts undocumented immigrants or other students who may be in the country illegally. You must be able to prove that you are the holder of a social security number (unless you are from one of the regions or principalities that are exempt from this requirement). You must be able to prove that you are the holder of a high school diploma or a GED, which is a Graduate Equivalency Degree. You also must prove that you are enrolled in an eligible degree program for which you are applying for funding. This means you must be enrolled in a program from an accredited college or university and on track to earn either a degree or a certificate. This is a non-negotiable requirement and bars students attending trade or vocational schools from accessing funding. You must also be able to demonstrate that you are a student in good academic standing. This may mean that low grades make you ineligible for federal funding. You must be able to demonstrate that you have not defaulted on a federal loan to date, nor do you currently owe money on a federal grant loan. You must also be able to prove that you have never been arrested for possession or sale of an illegal drug during a period when you were receiving federal loan funding. If you have been, there is a provisional application you must fill out to determine whether or not you are eligible or partially eligible for funding. Once you have proven your eligibility, you will need to move forward with the FAFSA application. The application is relatively simple, and most people are able to complete it in under an hour. Students and parents who are hoping to access FAFSA funding should also create an FSA ID. This is the quickest and easiest way to access your FAFSA application and ensures that you can check on your FAFSA application status with ease. There are documents that you should plan to have ready while you are working on your FAFSA application. 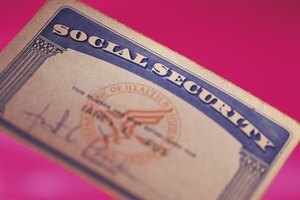 You should have your Social Security card and number available. You should also have your Alien Registration Number if that is applicable to you. You should have any federal income tax returns, any W2s you have or any other records of money or income. You should have any bank records that show investment history, capital gains or an investment portfolio and any records of untaxed income. These pieces of information are critical for the FAFSA evaluators to determine your eligibility to receive student aid. Depending on income, assets, investments, taxes and other financial background information, the committee will determine whether you are eligible to receive Federal Student Financial Aid. The FAFSA deadlines change every year. For students who are hoping to be eligible for FAFSA funding for the 2018 to 2019 school year, the application for student aid becomes available on October 1, 2018. Students will have the opportunity to fill out and submit their FAFSA applications anytime before June 30, 2019. However, different universities and colleges have different deadlines to which they hold students who need to be able to pay their initial fees or report what amount of student aid they are receiving. For that reasons, the FAFSA website recommends that all students begin filling out their FAFSA application as close to October 1 as they possibly can to ensure a timely receipt and evaluation of their application. How Do I Check On the Status of my FAFSA Application? Generally speaking, FAFSA applications that are filed online are processed within three to five days of submission. Paper applications take longer to process and tend to take between seven and ten days to process. Once an application has been processed, students receive a copy of a Student Aid Report which acts as a summary of the information provided on the FAFSA application. Students are responsible for reviewing all of the information on the Student Aid Report (SAR) and making sure that it is correct and true to the best of their knowledge. Any corrections should be made as soon as possible to prevent any errors in the processing of the application during the next steps. Included in the Student Aid Report is a number known as the Expected Family Contribution or the (EFC). This is the amount that the FAFSA officers have determined is reasonable to expect your family to contribute to your education. The size of the EFC determines your personal eligibility for a Pell Grant from the government and will also help to determine any other eligibility you may have for additional grants or grant funding. After the application and the SAR have been deemed to be correct, the SAR is forwarded on to the schools to which you have been accepted. These schools are who ultimately determine what your financial aid disbursement package should be and are the ones who are going to be able to tell you exactly how much money you stand to receive in federal student aid. Not every student who is eligible for federal grants or other aid will be able to receive it. 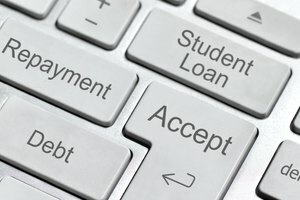 Different colleges offer different amounts of money for students, so regardless of the outcome of your FAFSA application, you will want to contact the financial aid office in the university you are planning to attend, and ask them what you need to do to obtain federal funding, and what you, specifically need to do to apply for any additional financial aid at that school. The FAFSA application timeline is a long one. Typically the FAFSA application becomes available in early October and remains open for almost 20 months before closing. This gives students ample time to get their applications in order for the following school year and subsequent semesters. Because the assessment of the FAFSA application determines the financial aid packages that you will be getting from your respective colleges and universities, it is critical that you complete the FAFSA as early as possible. Many students make the error of assuming that once their FAFSA application is processed they will get the necessary information about how much money they are receiving in aid, but this is not the case. The FAFSA application is merely the first step. To add to this, there are often issues or discrepancies that need to be corrected on a student's Student Aid Report. Getting these corrections processed in a timely manner can be hard and can cause a delay in the process of receiving your grant allocation. Once all the corrections have been made, and your SAR and EFC have been updated accordingly, your FAFSA grant eligibility determination will be sent to your colleges. Then, the process of working with the school to arrive at a number that works for you will begin. Every school has a different amount of federal funding to parse out to students. so your access to grant funding will vary depending on the university you choose to attend. In many cases, you may have to appeal directly to the school to see if there's anything that you can do to apply directly for additional student aid or to advocate for a larger financial aid package if what is presented to you falls short of your financial needs. All of these pieces of the process take time, particularly at large schools where they may be inundated with student requests for financial aid, and the process of going back and reworking funding packages takes time as well. You want to leave yourself ample time to search for other funding sources before you are required to send your first payment to your school. This might mean some serious reshuffling for students whose financial aid packages are significantly lower than they were expecting. Those students must, in many cases, find alternate sources of funding in a hurry. This may mean applying to the school for a work-study grant or for information about any student aid options that are exclusive to the school or university. In some cases, students may find that the federal loan packages they have received are insufficiently robust for their education, and they may themselves required to choose another school to attend. As mentioned above, the FAFSA application process itself is completed in fairly short order and processed in a timely fashion. However, the FAFSA application is only the beginning of a student's journey. The entire process can take months to complete which is why it is advisable to begin your FAFSA paperwork well in advance of the application deadline. It is recommended that you review the FAFSA application dates so you can begin to fill out the FAFSA paperwork as close to the beginning of the application as possible. You can even begin gathering the necessary paperwork and documentation well before the deadline so that as soon as the application is available and ready, you can simply log in to your FAFSA application, complete the necessary work and send your application in well prior to the FAFSA deadline. 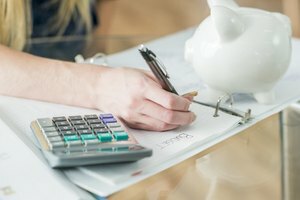 Financial aid for students in need is a critical factor in whether or not they will be able to matriculate at a college or university, which can be the deciding factor in a student's life and future. By giving yourself ample time to prepare your FAFSA application and being proactive about moving your application forward every step of the way, you are making a concerted effort to get the greatest aid package available to you. Friedman, Ashley. "About the FAFSA Application." Synonym, https://classroom.synonym.com/about-the-fafsa-application-13714925.html. 28 September 2018.